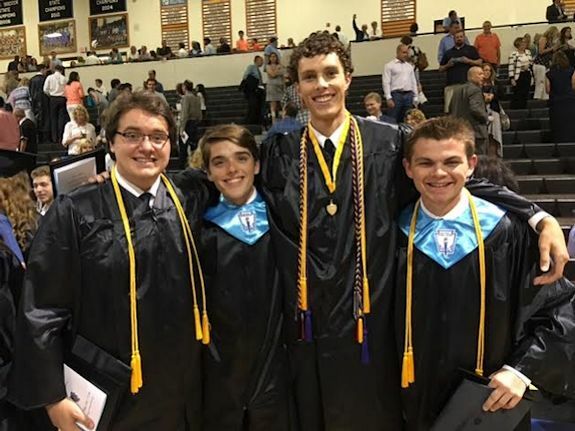 Davis graduated Friday night with honors from Starr’s Mill High School. 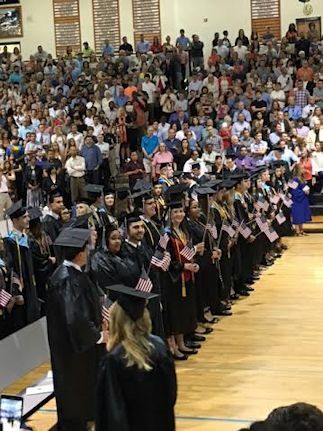 Usually graduation falls on the same weekend as Memorial Day so as a tribute to our armed services, the graduates march in carrying U.S. flags to honor our active military personnel and to act as a remembrance for those who died in service to our country. The ceremony was held indoors because of the threat of bad weather. 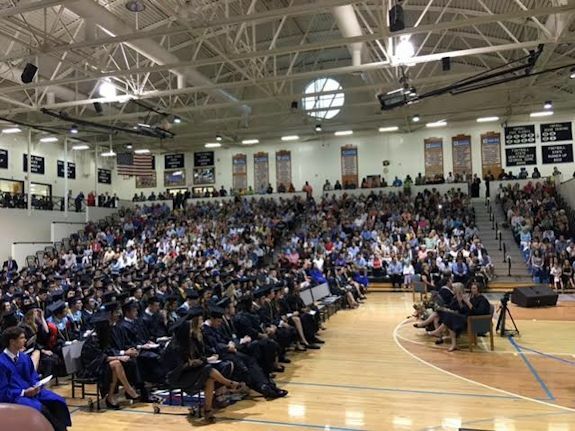 Normally the graduation is in the stadium. 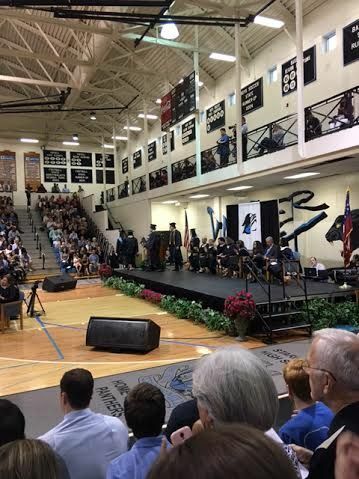 I must admit I liked it in the gym because we got so be much closer to the graduates rather than watching from the stands. Davis was chosen to sing the Alma mater in the ceremony. He did a great job. 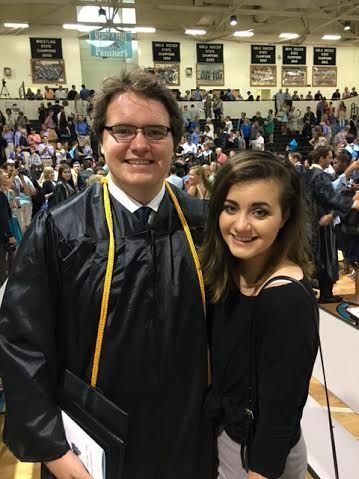 He has a very nice tenor voice and has received a partial scholarship to sing next year at college. I’m looking forward to more concerts and opportunities to hear him sing. 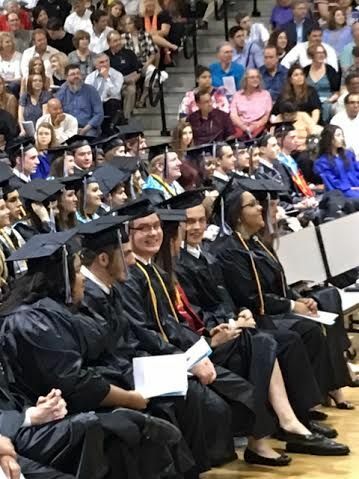 Davis is now a graduate and ready for college. We rounded up a few friends for a photo. It was difficult in the crowd but they managed to huddle up a few. When you look below at the guys, keep in mind that Davis is 6’2″. And now look at his friends. Can you tell which one is the basketball player? 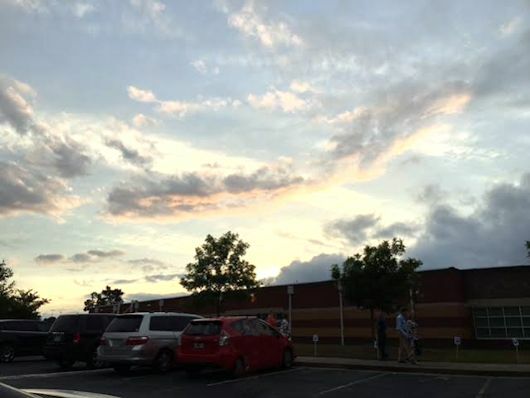 Beautiful sunset over the building and a fond farewell to Starr’s Mill High School.